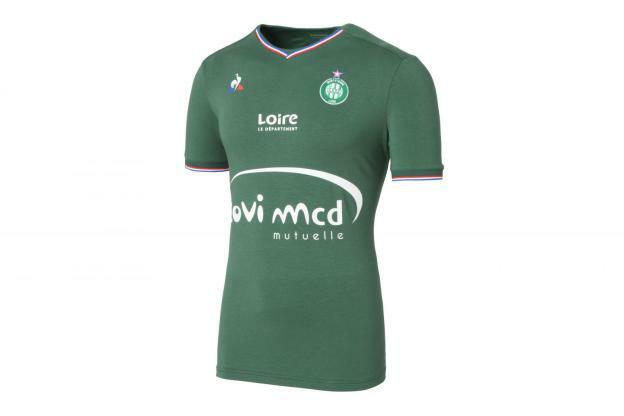 Le Coq Sportif are a company which tend to go through peaks and valleys in terms of involvement in kits. They currently do Saint-Étienne (nice, but not as nice as the early 1980s) and Fiorentina while 2018 will see them once again rejoin forces with the France rugby team, so hopefully the upward curve will continue. Chelsea changed from Umbro to Le Coq Sportif in the summer of 1981. Red, not seen on a Chelsea kit since the socks of the early 60s, was added as an accent while the pinstripes reflected trends adopted by adidas and Umbro. The change kit was in the same design but yellow as the main colour joined by blue and red, though with odd white-and-blue-trimmed socks (which, like the shorts, were a richer shade). Change blue socks were worn at Crystal Palace in 1981-82 while the away socks were used with the home shirts and shorts at Leyton Orient and Luton Town. Away to Barnsley and Newcastle United, blue shorts – trimmed in yellow – were worn with the away shirt. 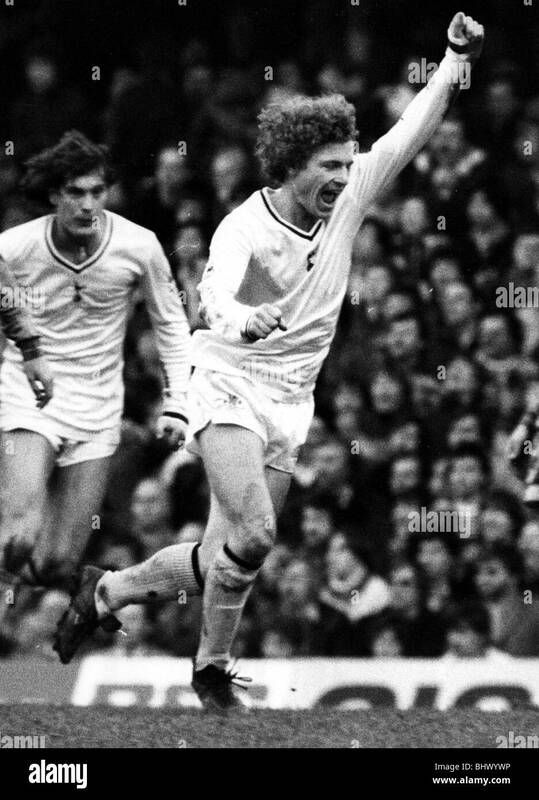 For trips to Shrewsbury Town and Hull City, an all-white third kit was called into action, and the white shorts from that strip would be worn by Tottenham Hotspur at Stamford Bridge in the 1982 FA Cup when their navy set were adjudged to clash. All three shirts remained unchanged for 1982-83 but in October of that season, away to Charlton, the home shorts received trim similar to the away pair but in dark blue and white. The plain shorts returned in January 1983 before the striped style made another appearance in May. New home and away kits appeared in the summer of 1983. This time, while the designs were still similar, featuring Le Coq’s crew neck with a panel inserted below it, they differed in terms of striping pattern. The home increased the red and white trim, while introducing a second tone of blue. A shadow pattern was added to the shorts with red panels around the bottom of the legs while hoops were on the tops and lower leg of the socks. The yellow change kit had the shorts panels and the sock hoops but the shirt designed differed in that the horizontal stripes were in red, outlined in blue. In December of the 1983-84 season, Chelsea entered into a shirt sponsorship deal for the first time, partnering with Gulf Air. Two versions of the company’s logo appeared – as far as we can make out, the larger logo only appeared on long-sleeved shirts, while the smaller style was on both. Once again, blue change socks were available for the home kit, only worn away to Leeds (who had to borrow Chelsea’s away socks when they visited in April, when Chelsea’s 5-0 win secured promotion). The white third shirt was carried over from the previous season, but worn at Shrewsbury with the new home socks. Back in the top flight in 1984, Chelsea stayed with the same home and away kits, but there was a new third kit, with another different style of striping, a very intricate pattern with thin blue and red lines bordering very light silver. …by almost all of the Chelsea players, with Micky Droy wearing Umbro shorts, with sky blue and claret stripes down the side, at Highfield Road. The same all-blue kit from the previous season was used at Southampton and Tottenham Hotspur, while the trip to face Luton Town in September 1984 saw Chelsea in the home shirt, third shorts and change socks. In May 1985, Chelsea played Rangers in a benefit game for the Bradford City Disaster Fund after the fire at Valley Parade and the blue home shorts were paired with the white shirt. It’s something of a pity that Le Coq Sportif’s last set of Chelsea kits were the most uninspiring. Red trim was dispensed with in favour of darker blue neck and cuffs while the shadow pattern alternated between stripes and the Le Coq logo. The socks – blue was first-choice again – featured an unusual vertical striping on the turnover. Two odd deviations from all-blue came at Charlton Athletic, where white socks were worn, and at Newcastle (white shorts and socks). For change kits, the intention was that the white kit would be promoted from third to second, with a new red third. However, the impracticality of this was flagged by physiotherapist Norman Medhurst and trainer Jimmy Hendry in their programme notes for the first home game of the season against Coventry, after red had been worn at Sheffield Wednesday. As well as injuries, we are responsible for playing kit, and here we come to the subject of the all-red strip worn at Hillsborough last week. Our official change strip this season is all-white, which we are not going to be able to wear on several occasions this season and blue and white teams. 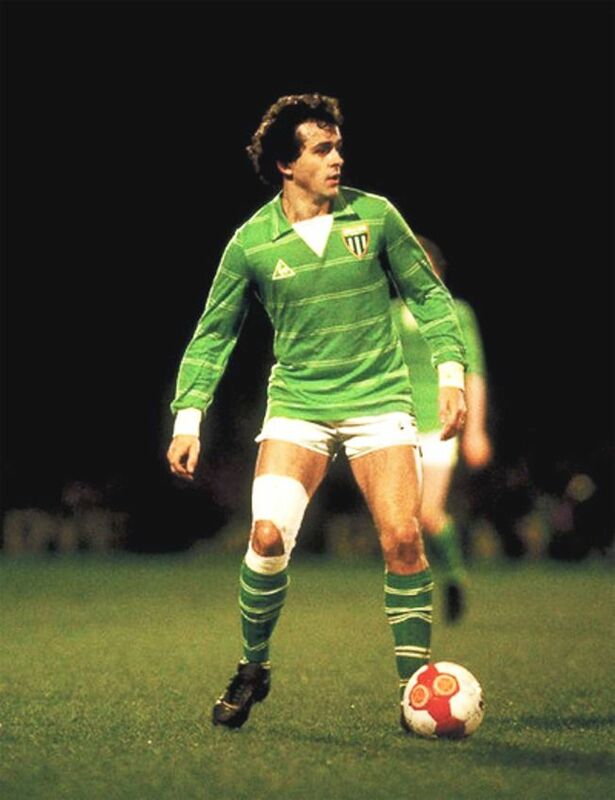 With Le Coq Sportif not making the yellow kit anymore, we had to order a third set and that’s what we wore at Sheffield. As a rough guide, it looks like we’ll need red at the following grounds: Leicester, Man. City (possibly), Ipswich, Birmingham, West Brom, Everton and QPR. As things transpired, the red was worn 11 times with the white used on five occasions, though one of these was the 5-4 Full Members’ Cup final win over Manchester City, with ‘Wembley 1986’ inscribed below the crest. It also saw action in another friendly with Rangers during the season, this time with the new blue shorts. The red kit was a similar style to the home, though with a simpler shadow pattern and contrasting white neck and cuffs. The socks, in the same style as the 1983-85 sets, carried blue, which didn’t feature anywhere else. At Birmingham City, who were going through a France/Portsmouth phase, the white socks were used, while plain red sets were worn at QPR. In that game, and at Everton (and possibly others), some if not all of the long-sleeved shirts were devoid of the Le Coq Sportif logo and the Chelsea crest. Chelsea opted not to renew the deal with Le Coq when it ran out at the end of the 1985-86 season. Instead, for 1986-7 the club opted to market their kits themselves under the name The Chelsea Collection (in reality, Umbro did a lot of the back-end work and they would officially return for 1987-88). In the programme for the home game with Liverpool on May 3, 1986 (when Liverpool clinched the league, incidentally), owner Ken Bates elaborated on the logic behind the move. So you now know all about the Chelsea Collection, which was launched so successfully last Thursday before over 50 national press representatives. I’m happy to report that pre-launch order have already passed £100,000. The background to the Chelsea Collection being born goes back to our discussions with major kit suppliers, such as Le Coq Sportif, who have supplied our kit for the past few seasons. The traditional arrangement is that the supplier proves the team strips free and pays the club a royalty in return for the right to sell replica kits to supporters. Clearly, a lot of money is therefore being lost to the game. We were also far from satisfied about having to wear a red away strip this season, which came about because Le Coq were not able to supply the more familiar yellow. We decided that the time was ripe to produce our own kit AND introduce a range of top-quality, fashionable leisurewear. Enter our new direction and Chelsea Collection managing director Graham Smith, who has put the Collection together during the past few months. This is a very exciting venture and another important step in Chelsea’s development. All these beautifully designed garments will be available in the normal way through the trade but today we announce a special once-only offer to our supporters in the brochure included in this programme. The prices have been exclusively discounted for the launch and we will pay postage and packing. Chelsea Collection garments are manufactured by the same people who supply some of the leading continental brands, which is clearly evident when you see and hold them. Remember, orders accompanied by postal order or building society cheque will be dealt with first and please, because this is an exclusive club-only offer, allow up to ten weeks’ delivery.